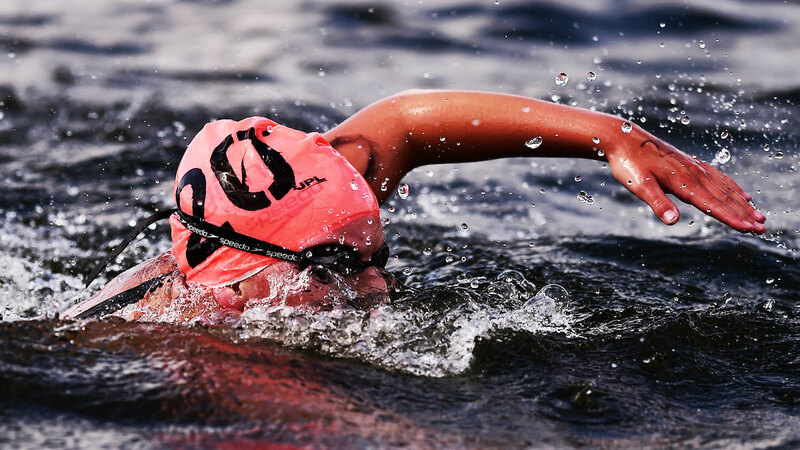 Tom Millburn (Cockermouth) and Harriet Rothwell (Ellesmere College) won the boys and girls 15/16 Yrs 2km races at the 2014 National Open Water Championships. Millburn also took to the front early before powering clear of defending champion Scott Deans (City of Glasgow) in the final stretch to win in 23:41 ahead of Deans (23:48) and Winsford’s Ashley Hogg (23:51). “I came in and thought someone had to win it, so why not me?” said Millburn, who was seventh in his first year of the age group 12 months ago. “I’ve swum a lot this year and swum at European Juniors in Croatia last month where I came 12th. That gave me a lot of confidence for this. The plan was to go out hard and lead from the start then let them catch me up. Rothwell took the girls title after a mix-up at the finish in which 5km European Junior silver medallist Sophie Evans missed the finish funnel and was disqualified. Rothwell and Evans were the two leaders throughout, the latter taking the initiative in the second of the top 1km loops. And while Evans underlined her potential with a gutsy performance over the 2km, her disqualification saw Rothwell claim gold in 24:38 ahead of last year’s silver medallist Erin Nabney (Ealing) in 24:48 and Northampton’s Rose Foden in 24:54. “I just wanted to get out in front and try and get some clear water with the front pack,” said Rothwell, who was 16th in the European Junior 5km race. “I knew I needed to draft because it was quite rough and windy conditions. Then I knew I would have to be tough in a sprint finish. I knew Sophie [Evans] would be there at the end and then I saw her going off the wrong way.